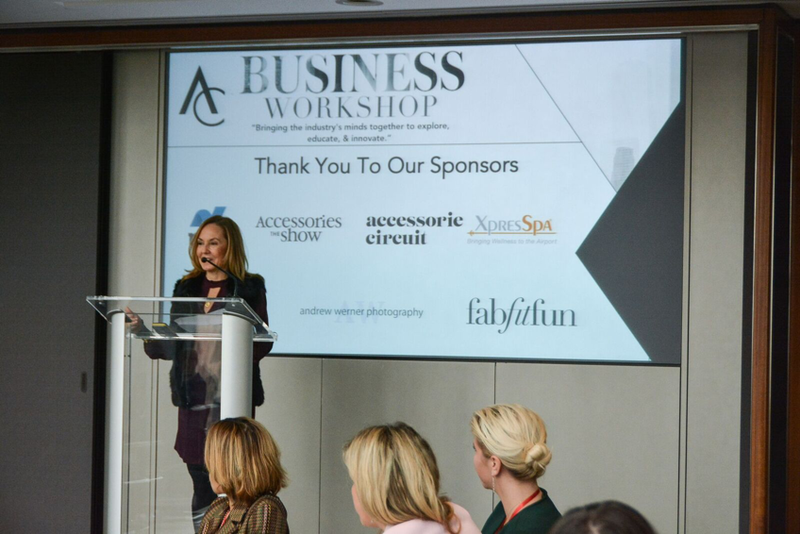 Each year, the Accessories Council pulls together industry experts for its annual all-day summit, this year renamed The Accessories Council Business Workshop. It’s a prestigious meeting of the minds, heightened by the inclusion of strategically accessory-adjacent industries that help attendees see the bigger picture. This might seem like yesterday’s news but the devil’s in the details, as outlined by NPD’s Retail President Don Unser. The consumer’s list of “committed monthly expenses” that didn’t exist years ago continues to grow… and steal from accessory dollars (i.e., Amazon Prime, cell phones, Netflix, meal kits, Adobe Cloud Suite). Meanwhile, Instagram-worthy experiences are still replacing “stuff.” Cruise ships are hot (cruising increased 35% from 2010 to 2017, and there were 504,000 new RV’s sold in the U.S. last year. Takeaways? Make in-store experiences worth sharing, and maybe target those cruise liner gift shops? When it comes to product, stereo headphones had the largest growth in the 12 months ended Sept. 2018, at 31.2%. Dollars grew over 700% from 2005 through 2017. Retail winners were American Eagle Outfitters and Ulta, while Sears was the biggest loser. Retailers are boosting their private label significantly, but they need to be mindful to use it to fill white space and not undercut their national brands). Accessories tend to sell better in brick and mortar as there are more impulse opportunities, despite e-tailer’s efforts to offer digital add-on suggestions to ready to wear and other accessories, noted NPD. Interestingly, average sales price is higher online than in-store. While accessories remained fairly close ($28.09 vs $27.04), the differential was much higher in tech, where online explanations, comparisons and reviews help make the sale. Free shipping can help online decisions, but retailers have different thresholds for Holiday ‘18. For example, free shipping kicks in at Macy’s at $99, while it’s $0 at Target and $35 at Walmart. The top four innovators all surged because of marketing or distribution. Kylie Jenner’s Lip Kits are a $420M brand because of her famous pout, staying strong even when she left social media to have a baby; Instant Pot spawned a Facebook cult fans sharing recipes and community; Elmer’s Glue serendipitously surged due to DIY Slime; while Fortnite created an entire industry around people watching people play Fortnite. Restaurants are down 10,000 units, and 49% of meals are consumed outside restaurants (thank you Uber Eats). Furniture is selling well, as is sleepwear, board games and barware. It’s no wonder that many fashion jewelry companies have expanded into fun items for the home office, dorm room and home entertaining. A selfie opportunity can occur at a moment’s notice, and women need to be ready. That means glowing skin, glossy hair, perfect makeup and jeans that fit the way they should. According to NPD, prestige beauty was heavily driven by makeup but the skincare piece has increased in importance in the past 2 and 3 quarters. Anything with the word “natural” really resonates with consumers. Thesurging Wellness category is just getting started, as explained by Lily Kunin, founder of Clean Market wellness stores. Kunin went from an Instagram feed @cleanfooddirtycity (now 118K followers strong) to Clean Market stores that are already expanding. If booster shots, infrared saunas, cryofacials and IV drips aren’t in your vernacular, come out from under that rock…and step into a Himalayan salt cave. 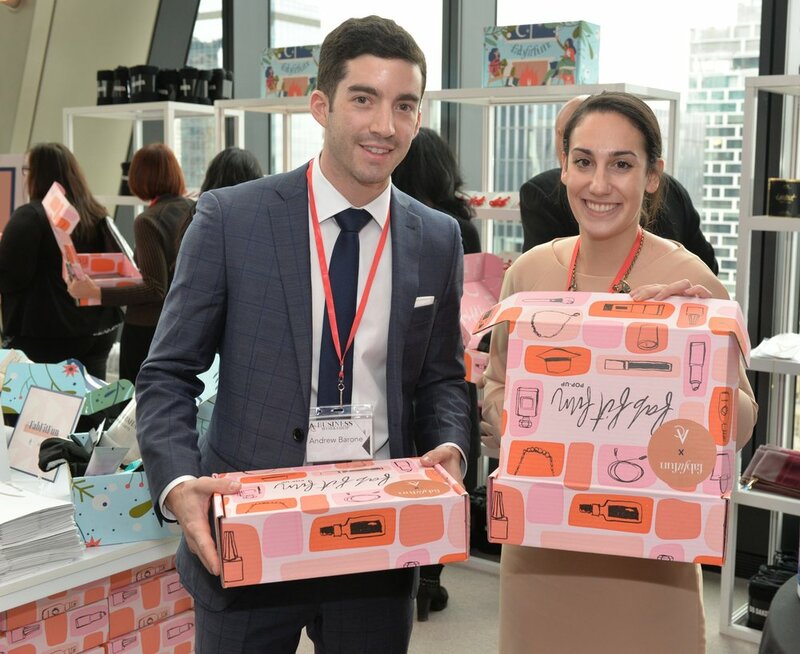 While subscription boxes are across virtually all categories now, there was a time not long ago when they were a hard sell for brands to participate. 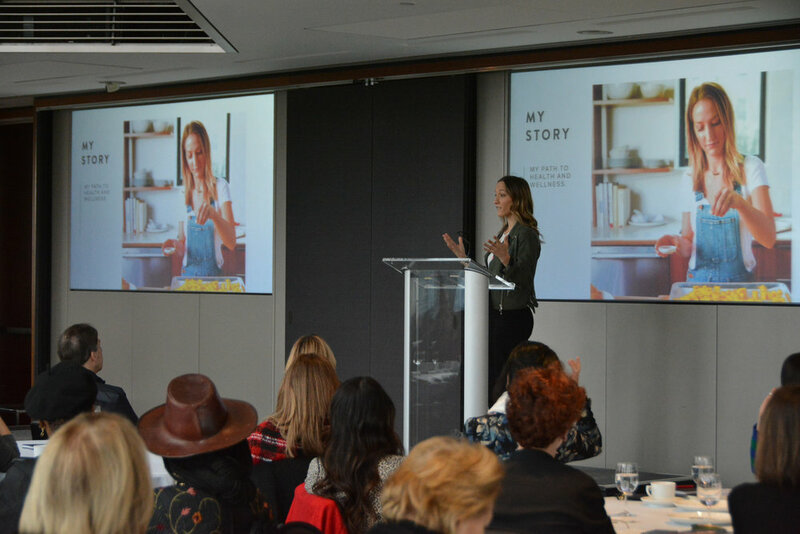 “I was calling brands and asking for 5,000 units at cost, not wholesale, but cost, to give the brand hundreds of millions of impressions,” said FabFitFun co-founder and editor-in-chief Katie Rose Kitchens. “No one wanted to talk to me. Luckily I don’t hear the word no. Plus, my background is in editorial, so I’m not restricted to how things are traditionally done. We’ll try 10 new things and invest in the 5 that work.” NPD pointed out that the subscription box consumer is experiencing some fatigue, however, with one-third of subscribers canceling their subscription within 3 months and 50% canceling in 6 months. Even so, it’s pushing the various programs to be more creative and amp up the influencer and creative collaborations. Legal sales of marijuana could reach $50 billion, according to NPD, with 59.3% of the U.S. population living in a state where pot is legal. Companies and investment funds are getting into the action, and sales from Med Men dispensaries are the highest in retail ($6,000+/per square foot, which is more than Apple and Tiffany!). The accessories industry can capitalize on this via retail adjacencies, partnerships in accessories like G-Pen Vaporizers or wellness items that deliver therapeutic Cannabidiol (aka the non-“high” producing CBD) such as Theramu. Big Business is taking cannabis very seriously (Corona’s parent company invested $4 billion in cannabis crops) and this might just be your next stock portfolio play. No, not the Singularity(that doomsday future scenario where intelligent machines supercede humans) but the Circularity, where brands finally figure out how to operate in a true sustainable and circular fashion. “If you invest in the second market, you’re not just selling your product once, but in essence you can sell it again.” From a next-generation barcode that helps create digital profiles for projects to textiles made from kelp (apparently the fastest-growing plant on the planet), the panelists had a lot to say on new advances. Our personal favorite? BioGlitz’s biodegradable glitter. The biggest challenge to the industry? Rebuilding 100 years of infrastructure and capacity to get the industry up to sustainable speed. Handbag designer and entrepreneur Aimee Kestenberg takes no prisoners. Named Forbes 30 Under 30, Inc.’s Top 500 to watch (#55), Crain’s Fast 50 and other accolades, this Aussie powerhouse doesn’t just sell handbags, she is an inspiration, and doesn’t let adversity stand in her way. When she started out, she rented a showroom for 2 weeks to make it look like a year-found office, then landed a million dollar order with QVC on the spot. The problem? She had no way to produce the bags. The savvy designer scrambled, and her brand went from zero to $15M in sales the first year (with no social media), but then adversity struck. Her crooked partner bankrupted the company the day of her wedding, and she had to fight to keep her brand name and brand likeness. “I’m the granddaughter of Holocaust survivors, and I don’t let wrongdoing win,” she said, obviously #winning (The Inc. 500 cites her 3-year growth at 4,797%). Today, she’s getting a degree in wellness and launching a new campaign about self love and empowerment, as well as adding new categories. Stay tuned! Tech accessories continue to evolve and impress. When luxury company MCM leathergoods creates a $2,800 leather backpack with built in speakers and a panic button to prevent theft and VSP creates eyeglasses with a gyroscope for posture and a concealed fitness tracker for health, you know accessories will never be the same. Boundaries are blurring on both the tech and fashion sides of the spectrum and we can’t wait to see what’s next!